Plant plants they’ll love – The easiest way to attract hummingbirds is to plant their favorite flowers on your property. 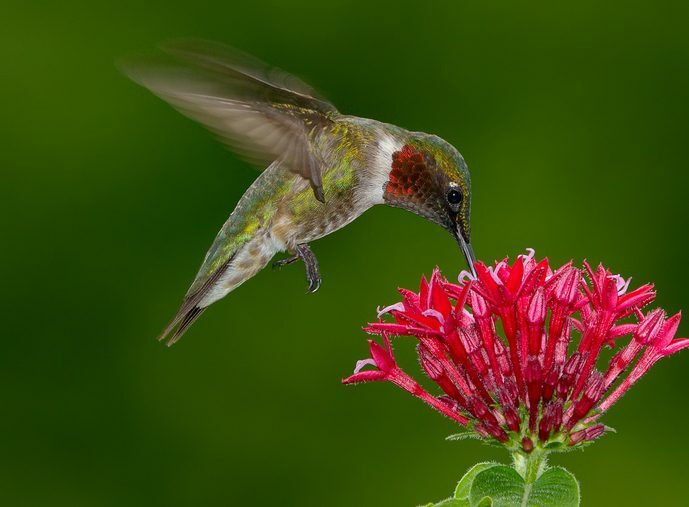 Hummingbirds love butterfly bushes, daylilies, foxgloves, coral bells, bee balm, and more. We can help you figure out the best plants to attract them to your yard – and they’ll look great, too! Have plenty of feeders – Hummingbird feeders are another great way to draw attention to your property. These tiny birds can buzz by for a quick meal from a liquid solution. Add well-shaded areas – Hummingbirds can put on a real display of aerial acrobatics. That means they need good places to rest. Shaded areas make great perches where they can regain their strength and locate insects to eat. Adding trees and shrubs to your yard will provide them a place to hang out in your yard. Wondering which plants and landscaping features will get your yard ready for hummingbirds? Call Rolling Hills Nursery & Landscaping today. Whenever you need landscaping in Rock Hill, SC, we can help.